Law enforcement claims that the majority of our violent crime in EBR Parish is drug-related. 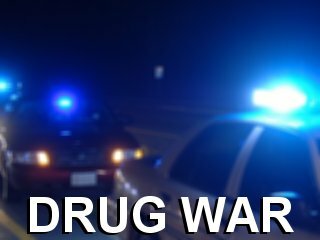 Cocaine, heroin, methamphetamine, ecstasy, GHB, marijuana, and prescription drugs are flowing in the streets of the Red Stick. Today’s newspaper reports more violent crime in EBR Parish including: 1) A four hour stand-off on Joor Road where a woman and officer’s vehicles were struck; 2) Another shoot-out, wild west style, off Byron Street between two men where a 19 year old girl was struck by gunfire along with one of the shooters; 3) A shooting off Choctaw where a man shot his girlfriend; and 4) weekend deaths totaling four including a mother/son off Coursey, a man in the Gardere area and a fourth victim off Old Hammond Highway. If drugs are the major reason for violent crime in the Red Stick, we need a plan of action! Law enforcement should ban together to develop a program similar to the one Louisiana State Police created for the New Orleans area. The program was a mobile deployment team with a mission of stopping drug trafficking. The DEA (drug enforcement agency) has 17 deployment teams rotating across our state. Baton Rouge is not on the list. The only part of our parish that is listed is Baker/Zachary. The other areas include: Donaldsonville, Concordia, New Orleans, Hammond, Slidell, Shreveport (2), Bogalusa, Houma, Kenner, St. Landry, Jefferson, Alexandria (2), Lake Charles and Ascension..
Mayor-President Kip Holden: What are you doing to aggressively address the increasing crime and murder rate in the Red Stick due to drugs?